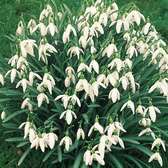 There is nothing more charming than walking through the garden or a local park in late winter or early spring and seeing Snowdrops. 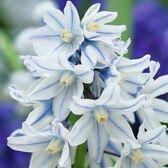 Known as the 'Herald of Spring' their modest beauty is what makes them so delightful, producing the pendant shaped white flowers we have come to love. 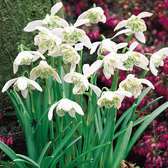 Galanthus are all supplied as bulbs and can be planted in autumn and left undisturbed to naturalise to create a larger display year after year. 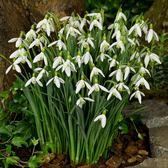 Snowdrops are supplied as top quality bulbs.